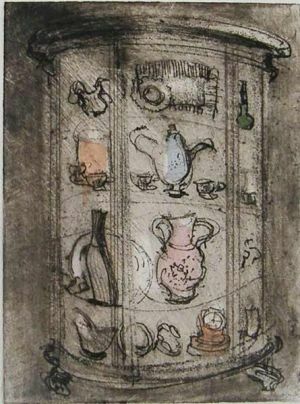 Franks’s etchingsreflect her delight in the details of daily life, family relationships, children, her travels, New York City, and the world of art and music. 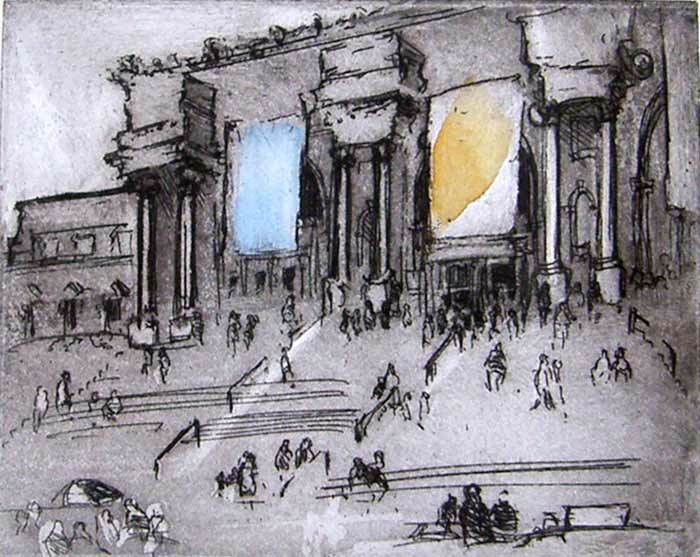 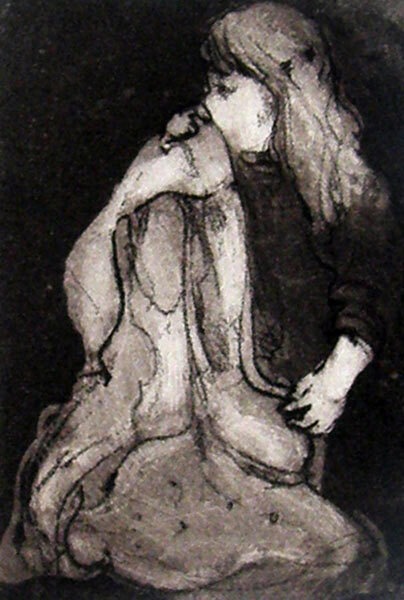 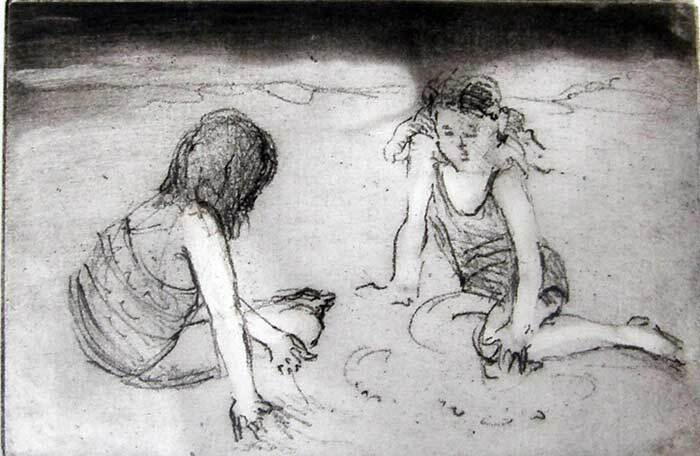 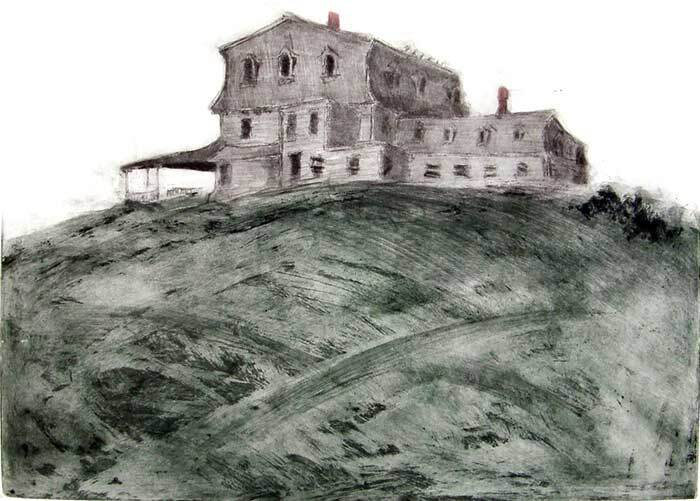 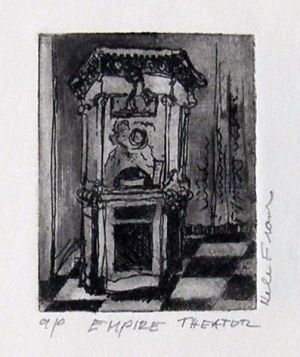 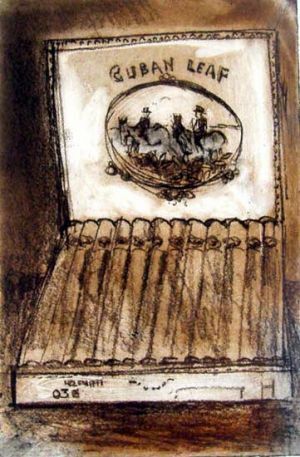 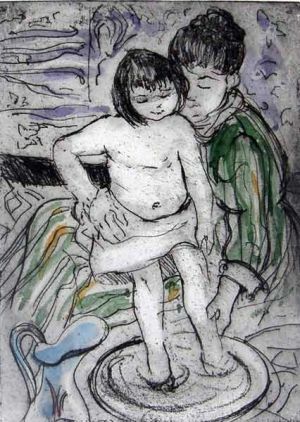 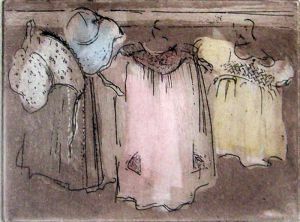 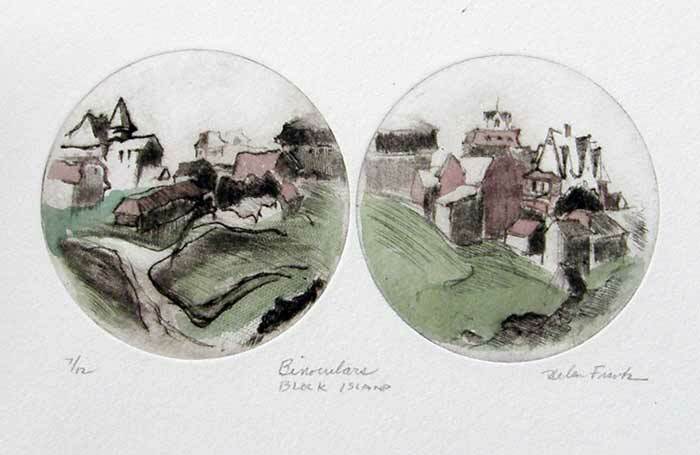 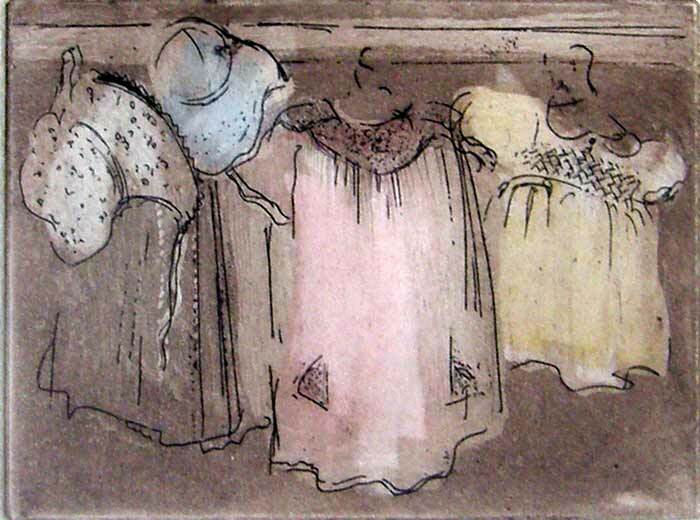 Her etchings in this exhibit show a range of technique and textures from contrasts of black and white to hand-colored works with delicate linesand soft shading. Other subjects include the interior of a girl’s bedroom in the eaves of an old house, a view of the steps of the Metropolitan Museum alive with people sitting on the steps or walking towards the banner-draped entrance. 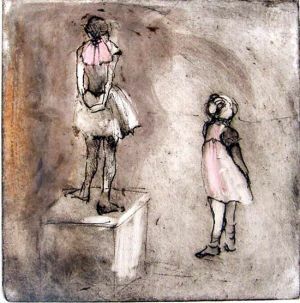 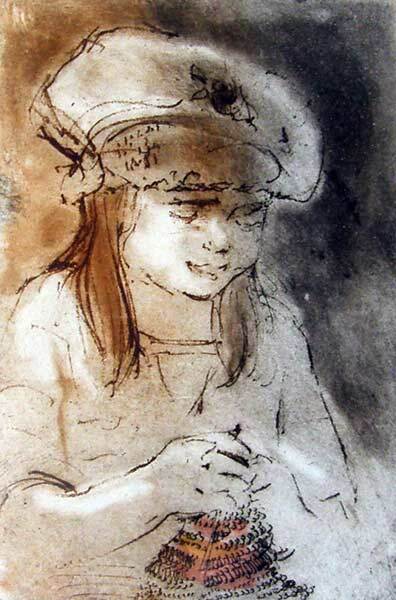 There are also portraits of children, some in homage to those of Mary Cassatt; another is a study of a young girl regarding Degas’ ballerina while striking a pose in emulation of the dancer. 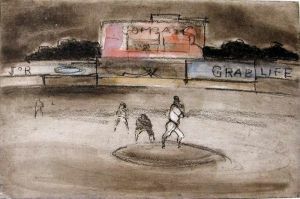 There’s more: still-lifes, baseball players in motion, and lovers in conversation. 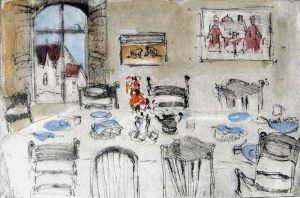 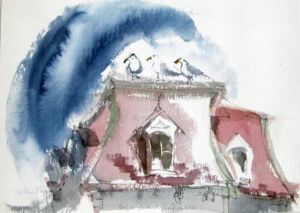 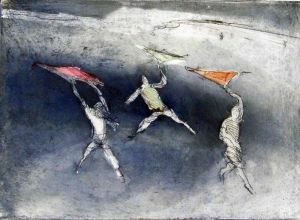 Frank has also worked in oils on canvas, paint on paper, pastels, and monoprints. She studied at Yale, The New School, and The Tyler School of Fine Arts at Temple University. 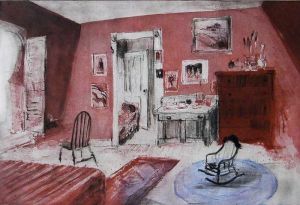 Her work is in the Library of Congress, the Museum of Modern Art, various museums and libraries, and in private collections. 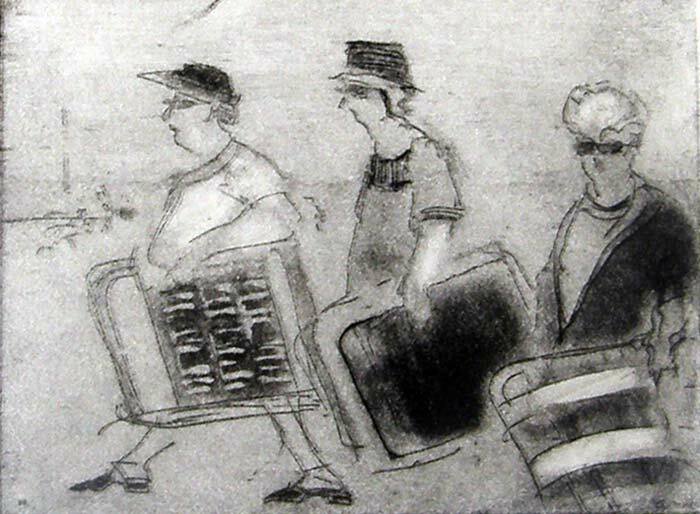 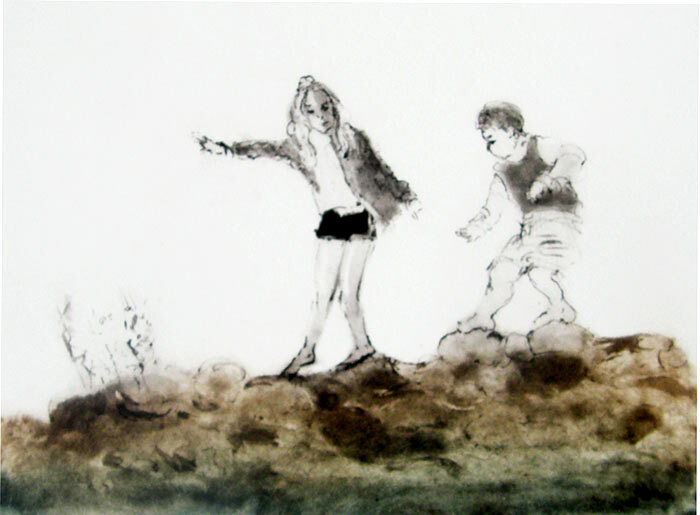 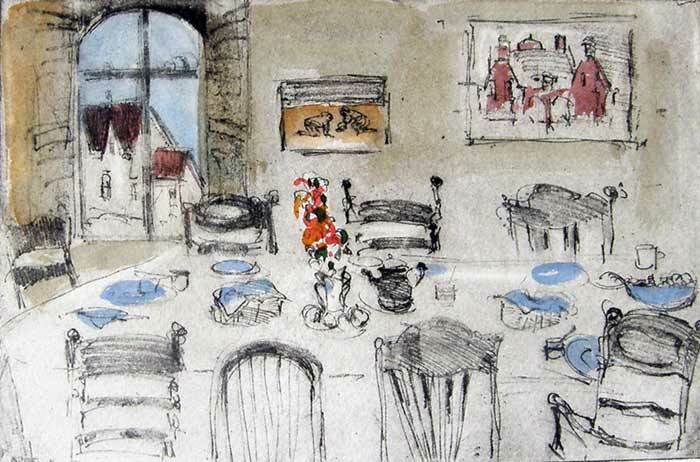 With her husband Sid and other family members, she has published a book of etchings depicting their travels in Ireland and elsewhere called The Road to Dublin.